The Gisborne CIB are investigating a shooting which occurred at approximately 02.30pm yesterday in Stout street. At about this time a maroon coloured Toyota Lucida 'people mover' arrived at an address in Stout street in the vicinity of Sheridan street and the front passenger of the vehicle presented what is believed to be a .22 rifle at the occupants. At least one shot was then believed to be discharged in the direction of the occupants before the vehicle left the scene. None of the occupants at the address which included two children aged 15 and 17 months of age were injured however a projectile has hit a car parked on the property. The Police were called and a short time later located the Maroon Toyota at an address in Huxley Road. With the assistance of the Armed Offenders Squad, a number of houses were searched in an attempted to locate the two occupants of the vehicle. As a result of these searches a 33 year old male believed to be the driver of the vehicle was arrested and charged as a party to the unlawful discharge of the firearm with intent to cause Grievous Bodily Harm. He will appear in the Gisborne District Court this morning where his bail will be opposed. The Police are also seeking Warren Jacques TARAWA aged 33 years in connection to this incident. 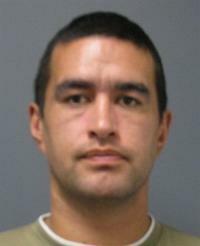 He is a Gisborne resident and is believed to reside in the Huxley road, Kaiti area. If anyone has any information in relation to his whereabouts they are asked to please contact the Gisborne Police. TARAWA is believed to still be in possession of the firearm used in this incident and is to be considered dangerous and is not to be approached.